Jones, S. C. & Reid, A. (2010). 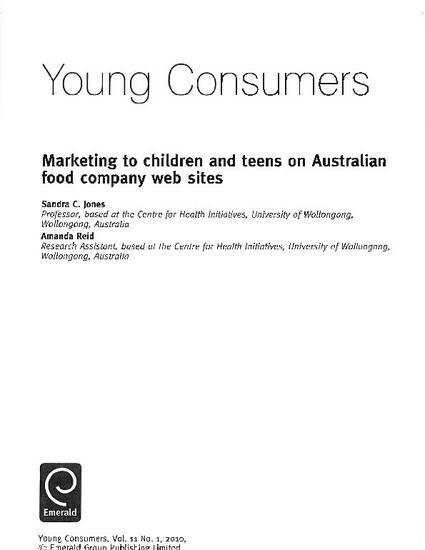 Marketing to children and teens on Australian food company web sites. Young Consumers, 11 (1), 57-66.